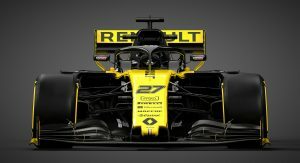 Renault’s brand new R.S.19 F1 car broke cover today, powered by the an improved E-Tech 19 engine based on the same design as last year’s C-spec unit that Red Bull used towards the end of the 2018 season. 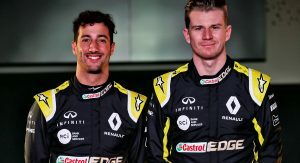 Also present at the media event were Renault F1 drivers Nico Hulkenberg and Daniel Ricciardo, the latter joining the French outfit after spending the past 5 years with Red Bull Racing, amassing 7 wins from 29 podium finishes. 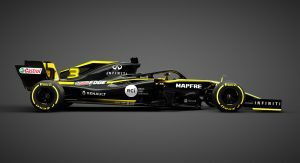 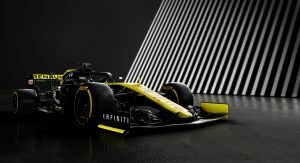 “Renault has a massive history in motorsport, so to be part of the next step of their Formula 1 journey is an exciting challenge. 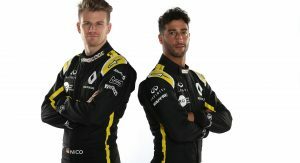 I’m here to do a job on track and drive as fast as possible, but I would like to bring the team energy. 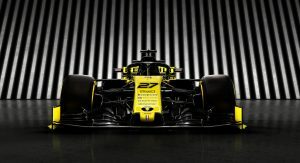 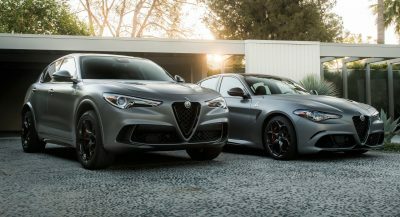 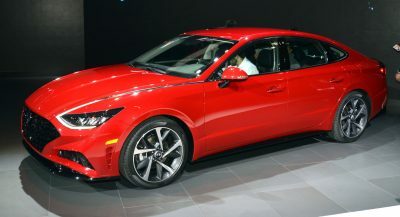 I want to put a spring in everyone’s step because that’s part of my job and also my character,” said the Aussie driver. 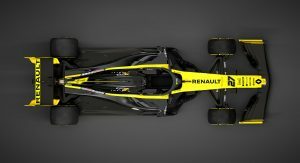 The new R.S.19 race car will take to the track for the first time at the Circuit de Barcelona-Catalunya when winter testing begins on February 18. 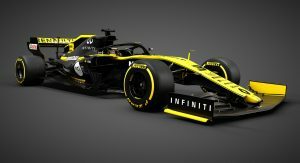 In terms of graphics, its livery is very similar to the one used on last year’s R.S.18 car. 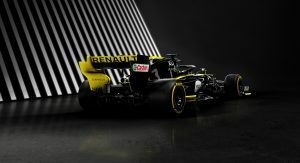 In 2018, Renault finished the season as “best of the rest,” claiming fourth spot in the Constructors Champtionship after Red Bull, Ferrari and title-winner Mercedes.